Huzzah, huzzah! The new Lemax Christmas Village structures are up at Menards. And that means that the fine folks running the government at Mantleburg are on the prowl for some fresh, new annexations. With the local residents not happy about their property taxes, the Mayor is on the lookout for some new businesses that can both add and diversify its tax base. 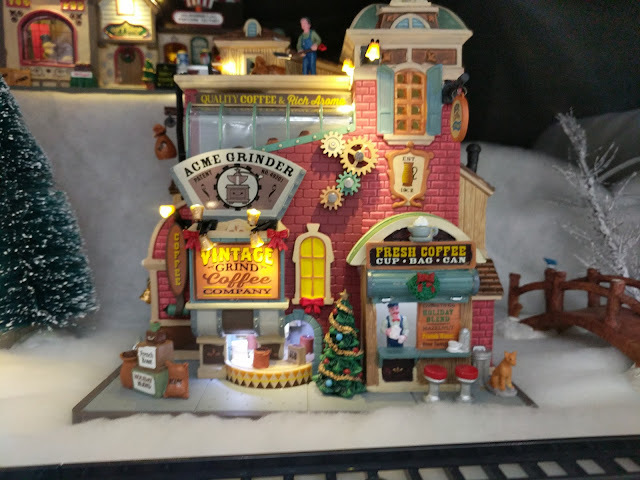 This place - the Vintage Grind Coffee Company - seems to fit the bill. With what appears to be a small retail operation out front and clearly a significant wholesale business, this place would offer both the benefits of sales tax and also some employment opportunities for Mantleburg's residents. That is, unless all that fancy-schmancy automation you see in the image above has eliminated all the jobs? I'm certain that the Village Board and the Mayor will decide soon enough if there's room in Mantleburg for an outfit like this. If you find yourself in Menards, you can find the Vintage Grind Coffee Company on the shelves right now. Retailing for $89.99 with the 11% rebate. 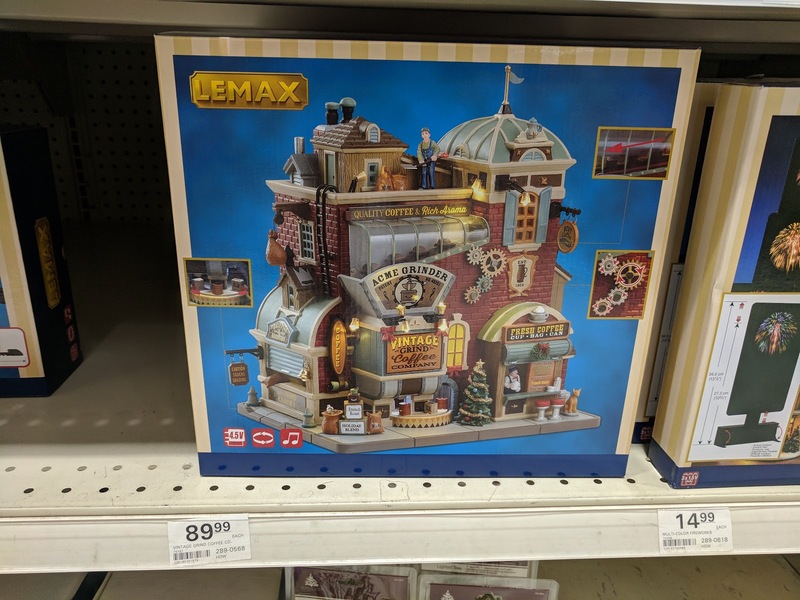 The full product description can be found on the product page at Lemax.com and is part of the Caddington Village collection. Last year, I covered the new Village Wine and Beer Garden building, the barbershop and CJ's Piano bar are all in the Caddington Village.